After fastening aluminum angle to the floor and leveling the corner with sand, I packed and filled the base with brick to continue adding our old catalytic woodstove to the shop. Then it was time to start the dry-stack walls … until I ran out of spare brick. 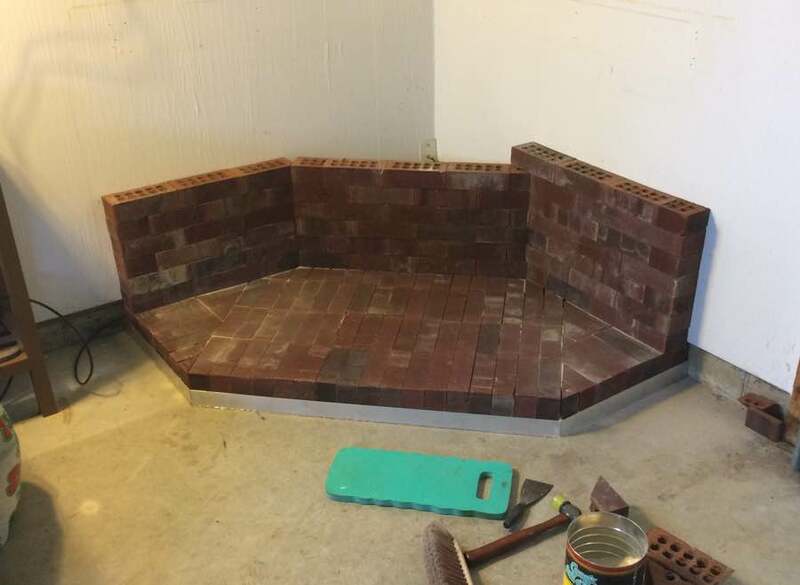 Thankfully the brick is available so should be able to pick up this week and eventually cut and stack about 70 more bricks. I’m using a drystack technique (fastening to the wall) so that it can all be easily disassembled. Once done, I’ll attach the flue to the new chimney and figure out the cap/mantle area to cover the brick. It will be nice to use some of our piles of wood to add heat to the shop.